Walking is the first type of “exercise” you’re likely to perform after spinal fusion surgery, which is typically a requirement for any patient before leaving the hospital. 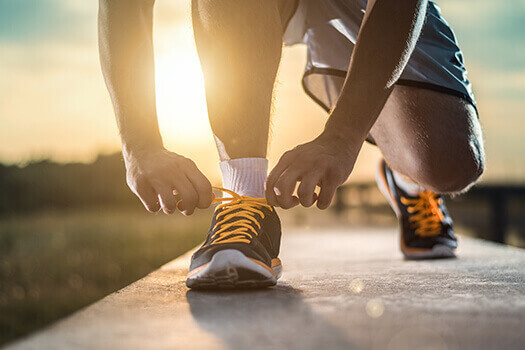 When it comes to post-surgery exercise, however, determining how to proceed depends on several factors, such as how well you’re healing, although there are some general tips to keep in mind. Your board-certified spine specialist will let you know when it’s safe to get back to some type of regular exercise routine. Get clarification on what movements are best for you and what to avoid. Core-strengthening exercises can usually be added to your routine towards the end of your recovery period, which is typically 3-4 months post-surgery. Stationary bikes, elliptical trainers, and stair climbers are especially beneficial since settings can be easily adjusted to match your current level of comfort and endurance. A physical therapist or chiropractor can help put together a customized exercise plan during your recovery period. Check with your doctor first before getting back into sports or other activities like running and dancing that often involve abrupt starts and stops and added stress on the spine. If your condition is severe and you need spine surgery, Beverly Hills spine doctors can help you. Interesting in learning more about spine health? Call (310) 828-7757 and schedule an in-person consultation with one of the board-certified spine surgeons at The Spine Institute in Beverly Hills. Our team can evaluate and diagnose your condition and explain all possible treatment options. Reach out today.